OK… You spent thousands of hours refining your skill, thousand of dollars on your rig, and the outcome is (besides being a great musician we hope) that you have great tone… in the room, anyway. What’s your biggest fear? Getting that killer rig to sound just as good going to a recording desk in the studio or being pumped through the front of house mains at an important concert event. How many times have you cringed hearing that your sound was compromised in the miking process? What if you could plug your entire rig directly into a studio or live mixing console and experience zero loss of your tone and feel? Well, read on, because the Two Notes Torpedo Live will change your life in so many ways (as it did for us). Besides achieving the best live tone of your life, and better recorded tone than you can easily get outside of a professional studio, you also gain the ability to play your tube amp rig, cranked, in the peace and quiet of a set of headphones while the rest of your family sleeps! Further, how about being able to swap out different virtual cabinets and microphones, and adjust mic placement however you want it, and then save your very own sound signature as a user preset? Too good to be true? OVERALL RATING =3.8, which earns it a WIHO Award! The Two Notes Torpedo Live really delivers the sound of your amp in a way that no previous cabinet simulator has accomplished. It’s not necessarily the cheapest solution on the block, but we have no doubt that if you swear by your tube amp tone and need a great recording and live sound solution, the Torpedo Live will have you eating out of the palm of its hand in no time. The Two Notes Torpedo Live Professional Digital Loadbox is an affordable, “baby brother” to the even-more-awesome-than-this Torpedo VB-101. You’ll find it to be pretty straightforward from a features standpoint, but provides all the right stuff without compromise whenever you need to play through headphones, record via a direct connection from your amplifier into a studio/digital audio workstation, or when you want to eliminate the microphone variable from your amp’s tone in the front-of-house PA system. First off, understand that the Torpedo Live is a digital loadbox. As I’m sure we don’t need to tell you—but will remind you anyway, you can’t just play your tube amp without connecting the speaker output to a cabinet or other device that presents a load (to absorb the amp’s power and convert it to sound or heat), without destroying your amp. Because the Torpedo Live provides an 8Ω load, it replaces the load presented to your amp by a traditional speaker cabinet, plus it has a pass-through that allows your signal to continue into your speaker cabinet. But when the kids are asleep, just leave your speaker cabinet unplugged and rock on. The Two Notes Torpedo Live is housed in a single-space rack unit. The faceplate contains an Input Level control knob in conjunction with a set of LEDs for monitoring input level and clip indication; a Display window for viewing presets and patch parameters; Setup button to enter into setup mode; a Preset Parameter selection knob; an Output Level value control knob with an LED Clip indicator; an Edit/Save button; ¼” Phones Output jack; and an On/Off switch. The rear panel of the Torpedo Live provides a USB connection for computer interfacing (for editing sounds); MIDI In; S/PDIF output; ¼” balanced Line Output; ¼” balanced Line Input; ¼” speaker output; ¼” Amplifier Input; and a cooling fan. The Torpedo Live ships with twenty-two guitar speaker cabinet impulse responses and ten bass cabinet IRs. These aren’t pure models of cabinets, but are models built from impulse responses, essentially high-quality samples recorded of the output from actual speaker cabinets independent of a specific amplifier. This approach, used by studio convolution reverbs, works especially well capturing the sound and response of speakers. But if the science seems overwhelming, just call them speaker cabinet models. Additional cabinets can also be downloaded through the included Torpedo Remote software. Internal features to help tailor your sound preference include EQ filters selectable for guitar or bass. You can place your mic selection on- or off-axis, and you can adjust the mic distance from near to far. We would love the option to place a second mic on the cabinet, but as you may have gathered already, one happens to sound just fine. Of course, if your wallet has a bonus cash compartment, the VB-101 provides a two-mic solution. Up to 512 impulse responses can be loaded into the Torpedo Live in WAV or AIFF formats, and the A/D converters are premium AKM 24-bit/96k converters. Torpedo Live can be configured via the front panel or through Torpedo Remote software, a free download for Mac or Windows. The software provides a useful visual interface for microphone positioning. Although not an essential feature of the Torpedo Live in our minds, it also incorporates Two Notes’s excellent power amp modeling, so if you want to run a favorite rack tube preamp straight into it (Mesa Boogie Triaxis, ENGL e580, Marshall JMP-1, etc. ), you can. 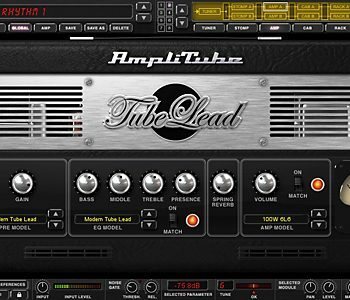 If you’re going to use the power amp modeling, Torpedo Live has you covered with the popular choices. Tube stage modeling including the following selections: 6L6, EL34, EL84, and KT88 / Class A and AB. 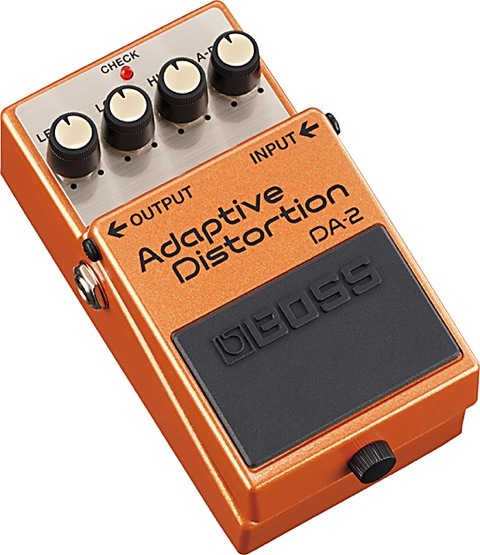 But the main use of this product (for most players) will be using it to replace the output speaker/microphone parts of the signal chain, or to replace a load box that uses traditional analog circuits to simulate the sound of an actual speaker cabinet. Though designed for Guitar and Bass, the Torpedo Live can be used for keyboards as well, and in that context, you may desire to use the amp modeling, especially when running vintage keyboards through it, or to warm up the sound of a digital synthesizer. We found the Two Notes Torpedo Live extremely simple to use and configure. Each control function is well labeled and easy to read – it doesn’t get any better than white over black or black over white lettering. And the LED and LCD displays are very easy to understand. Of course, with our first surf of the unit’s capabilities, it was pretty much plug and play using the stock presets provided. Connection of the Torpedo Live to our rig was quite simple: connect the main speaker output from our amplifier to the Input of the Torpedo Live. We then connected a second speaker cable between the Torpedo Live’s Speaker Output jack and our speaker cabinet (for quiet playing/recording, just leave the speaker output unplugged). For silent practice setup, just plug headphones into the Torpedo Live’s headphone jack, adjust your input and output levels, and you’re set to rock out. If you’re on stage or in the studio and you want to run a line to the front of house or recording console, just run an instrument cable from the Line Output to your console and you’re set to go — it’s that simple. Of course, you’ll need to select a good cabinet model (err… impulse response) and make some fine-tuning adjustments to the chosen preset, but we found the entire process incredibly simple. The Torpedo Remote software application was extremely intuitive and easy to use. We all like big virtual knobs and picture aids we can relate to and understand — the Torpedo Remote software kept things as simple as possible. After selecting a cabinet and microphone, it was easy to drag the mic around in the virtual speaker/room display to position on/off axis and adjust the distance from the cabinet. As if the Torpedo Live didn’t already blow your mind with the capabilities so far, there is one more function that may be the best of all: Using the Torpedo Capture software, you can capture your own cabinet’s impulse response with your favorite microphone setup and embed that sound signature into the Torpedo Live as a User Preset. Speaking of presets, it was very easy to send MIDI Program Change (PC) messages from our MIDI foot controller to the Torpedo Live to make program changes, but we suspect that many people will just use the Torpedo Live in a set-and-forget manner. Getting straight to the point, the Two Notes Torpedo Live delivers the sound of your amp through a cabinet better than any cabinet simulator or DI solution we’ve ever experienced other than, perhaps, the Two Notes VB-101 (which can have two simultaneous impulse responses, two mics, and A/D converters of an even higher spec than the one in the Torpedo Live). The Torpedo Live has everything needed to provide a signal that’s as close as possible to a guitar or bass being mic’ed in a traditional studio environment. We were simply amazed at how well our sound transferred through this unit and straight to a recording console by going direct. If you did a blindfold test or A/B’ed with a traditional amp, cabinet and microphone setup, you would not be able to hear the difference. It’s truly organic. For purposes of this review, we were fortunate enough to own many of the speaker cabinets that Two Notes modeled. First, we used a Mesa Boogie Road King II connected to the Torpedo Live as a loadbox (100 watts at 8ohms) and went from there straight into our ProTools rig. We chose the Calif StdC impulse response, which is built from a Mesa Rectifier 4x12 cabinet with Celesion V30 speakers. Compared with recordings of our amp using our Mesa cabinets traditionally miked, we could not tell that the physical cabinet and microphone had been removed from the equation and replaced with the Torpedo Live—it was that incredible. And with the benefits of the loadbox, we could push those tubes to their sweet spot and not worry about the volume level. Next, we went to one of our other studios to use the Torpedo Live with an ENGL Powerball II rig. Sure enough, Angl VintC is the Two Notes version of our ENGL Pro 4x12 cabinet. We’re still trying to mike the actual cabinet and get it to sound as good as the Two Notes version of our tone using the same mics. We’re almost there. Still marveling at the quality of the tone, we looked around the studio and found our Bogner Ecstasy 20th Anniversary amp. OK, perhaps we didn’t have to look too hard to find that one. Sure enough, the XTCab is a model based on our Bogner 4x12 cabinet. We learned two things. First, the Torpedo Live once again gave us the sound of our rig without microphones. Second, we seem to share a love of many amps popular with the team at Two Notes! We found the Tube Stage, Cabinet and Microphone models to be true to the original models in which they were inspired. Swapping a modeled SM-57 for a 421 changed tone the way we’d expect to hear, and if you’ve been looking for a cheap way to add a Royer R121 ribbon mike to your recording chain, you can do it here, and use that sound live, too! Moving the mike position significantly alters the tone, so there’s a pretty limitless number of options available inside. We also enjoyed being able to experiment with different cabinets to achieve optimized sounds. For example, running our clean channel through a Fender speaker cabinet or through the speakers from a Roland JC-120 really opened up some new sonic possibilities. Being able to change speaker cabinets and mics on-the-fly from a MIDI foot controller further expands the range of tones you can bring to a live show. There was no discernable hiss or noise in the cabinet models. We found every bit of this unit to provide the best studio quality sounds possible. The Two Notes Torpedo Live came equipped with a very detailed Owners Manual containing very detailed information from basic care and maintenance of the unit to very detailed and descriptive information pertaining to operation. We especially appreciated the example rig wiring diagrams along with table menus providing functionality of each control value and display window snapshots to reference different patch configurations being discussed. For additional Technical Support, the Two Notes website provides news about the company and product line, FAQ’s, firmware and software update information, new speaker cabinet downloads, Torpedo Capture software, and a forum for tips, advice and knowledge sharing. 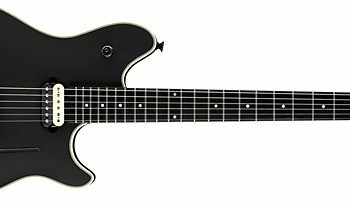 The Two Notes Torpedo Live (MSRP $1,295.00) sells for approximately $995 street. 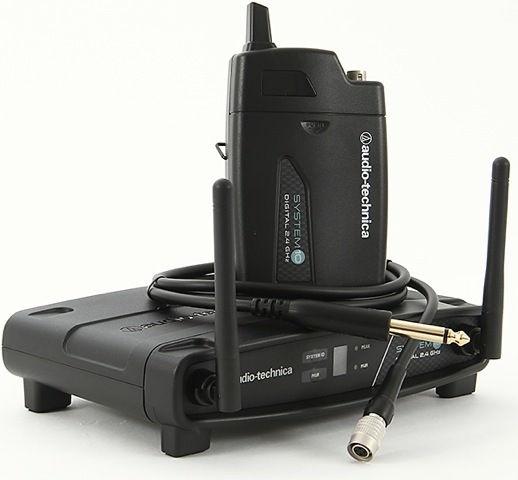 Considering the capabilities and sound quality this little box provides in a live or recording environment, we found this unit to be an excellent value. We expect it will find a home in thousands of guitar rigs, starting with ours. This is one of the few products we’ve reviewed that multiple editors purchased immediately as a result of experiencing the product. To us, this is a must-have product.